The Grain Store was the first restaurant to appear on my “Melbourne Must Visit List” after reading about it on another food blog. 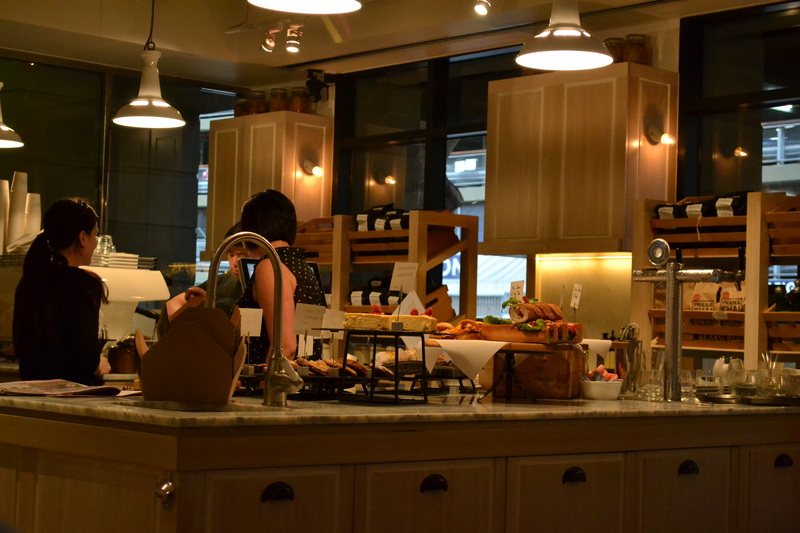 I was instantly drawn to the sound of the menu online as it reminded me of one of my favourite brunch spots in London, which also happens to be called The Grain Store. My first visit to The Grain Store in Melbourne was for a chat with one of the owners, Melanie about working with them. I instantly felt welcomed when entering the place which was rather busy on a weekday lunch. Over an exceptionally good Sensory Lab coffee, Melanie told me all about The Grain Store and how the idea first formed. She assured me that the London Grain Store is in no way related, despite having a similar look and strangely, a near identical logo. The building, tucked away at the quiet end of Flinders Lane in Melbourne CBD, used to be an old grain store, hence the reason behind the name. The Grain Store has as lovely ambience with glass windows letting in lots of light during the day and softly lift candles come evening, giving it that warm cosy glow. Up one end of the restaurant a lovely big wooden counter with lots of tempting pastries and cakes on display. After liking the feel of the place, that evening I asked Brent if we could go for dinner there. 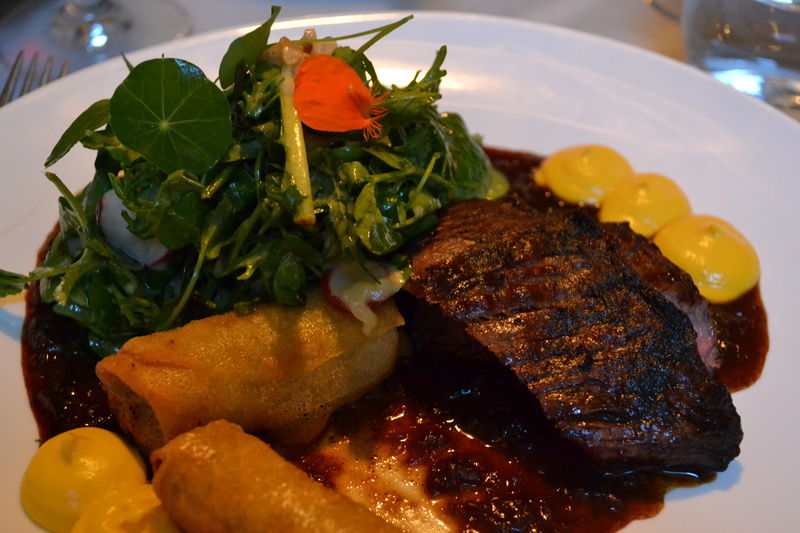 I was lucky enough to return a few days later for a delicious three-course meal. Brent and I have similar tastes in food so we shared a selection of dishes from the menu plus a bottle of Shiraz and some Port – drool! 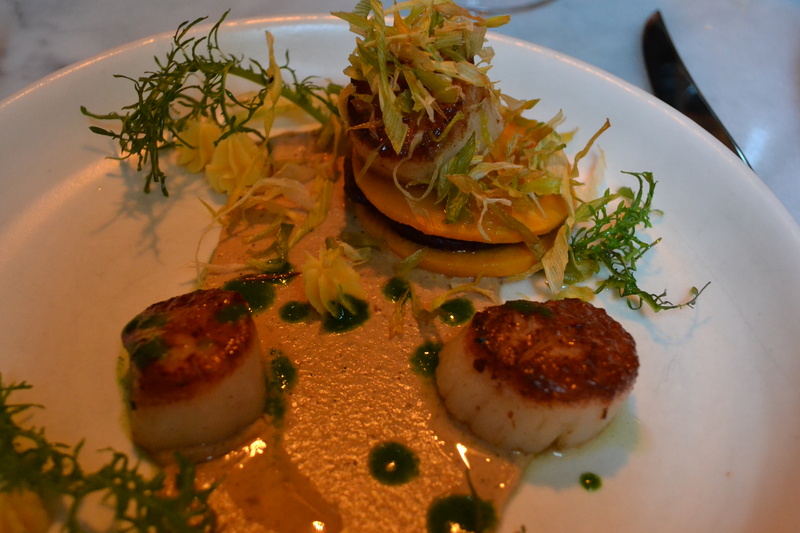 We absolutely loved the pan-seared scallops, lemon curd, butternut boudin noir, aubergine. I could have eaten a dozen no problem. I like my scallops big and meaty and these were certainly that. It was like an explosion of flavours, it really was! 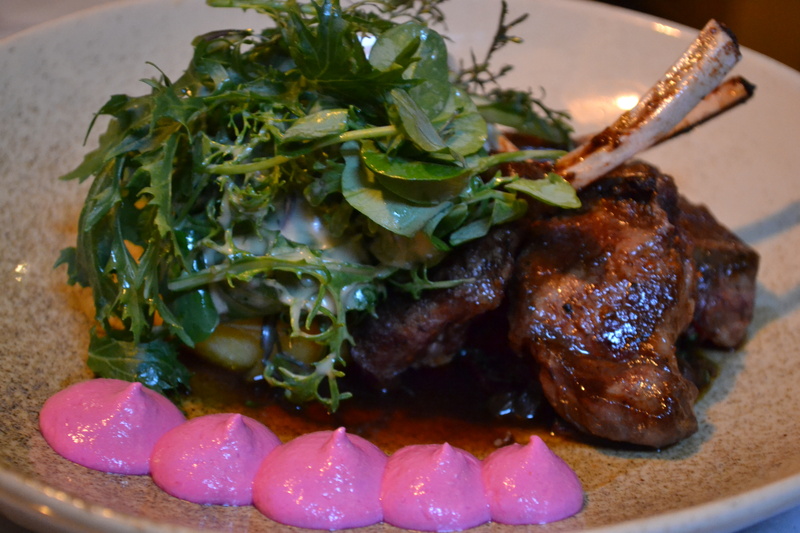 Our favourite main dish was the South Gippsland lamb cutlets, polenta fritter, peperonata, beetroot yoghurt which was very well cooked. The saucy beans that accompanied the duck dish were a little too overpowering so we could hardly taste the meat. That was our only gripe. Every dish was beautifully presented and tasted great too. They were also good sized portions, three courses a little too much for me but perfect for those who like to leave a restaurant full. 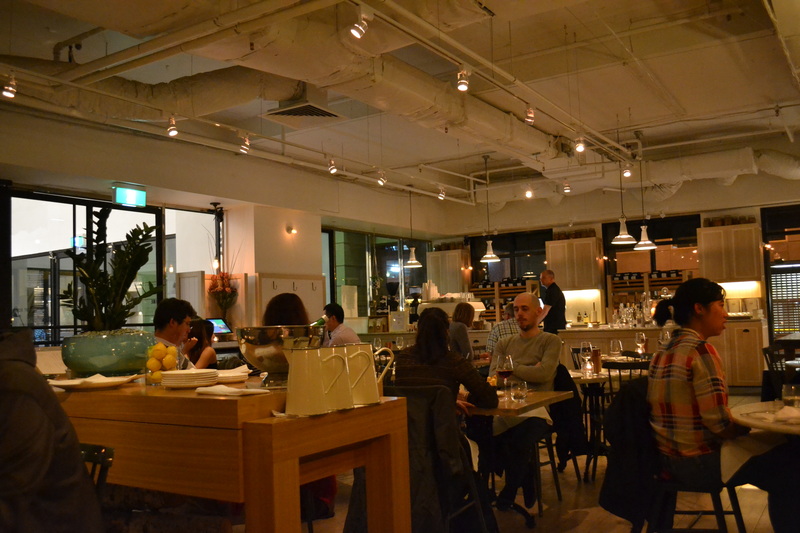 I wouldn’t say The Grain Store was fine-dining as the portions are much larger but the quality and presentation of the food is certainly up there with some of the best restaurants in Melbourne. I enjoyed our meal so much I took my parents there when they came to visit a few months ago. 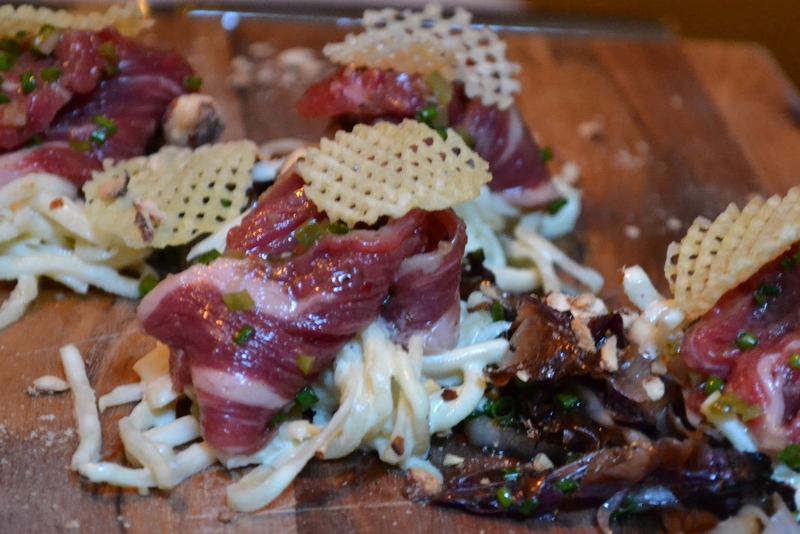 For starters Dad had the Wagyu carpaccio ‘tartare style’, burned radicchio, celecriac remoulade, juniper almonds, whilst Mum and I shared the scallops, with mum agreeing they were one of the tastiest she’d ever had. Mum and I shared the South Gippsland lamb cutlets, polenta fritter, peperonata, beetroot yoghurt and the Robbins Island wagyu flank steak, portobello goats cheese croquette, sauce Béarnaise for main. No complaints there either, both perfectly cooked works of art. Our healthy sides of thrice cooked hand cut chips, chipotle aioli and rosemary & parmesan polenta chips were cleared in seconds – good news, these beauties are also on the weekend brunch menu! 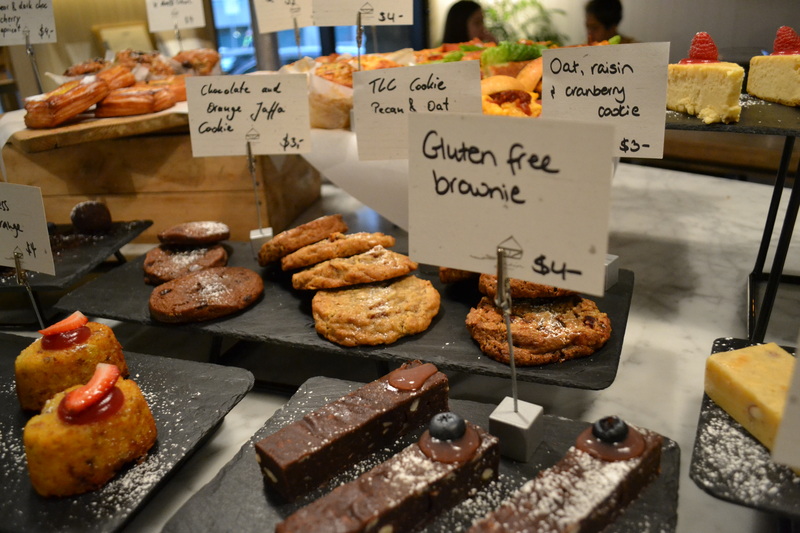 We decided to share a selection of desserts being the family of fattys foodies that we are. Poor Dad doesn’t really get a choice in the matter but he’s an incredibly nice chap so let me and mum do the deciding. 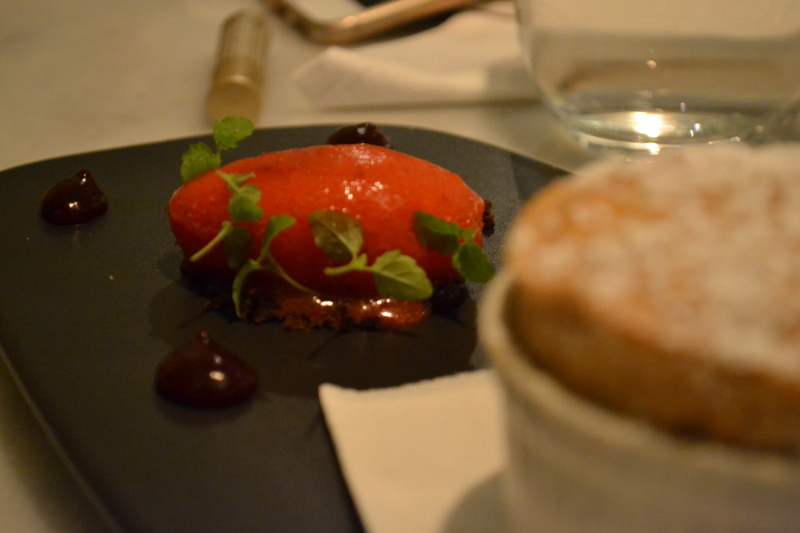 The special of the day, Grain Store Soufflé was light and moist with a lovely rich and fruity sorbet. This however, was our least favourite. 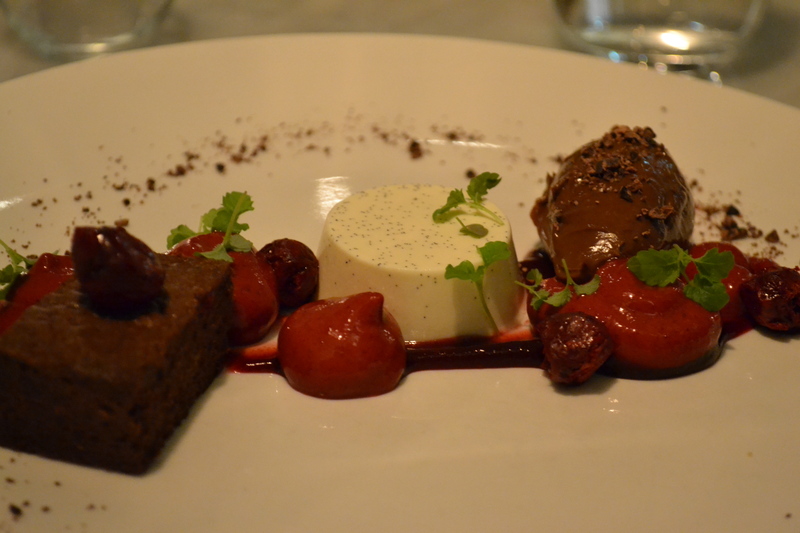 In true X-Factor style, we voted the Black Forest gâteau, chocolate brownie, black cherries, yoghurt kirsch panna cotta as our favourite dessert as it had so many different textures to it. 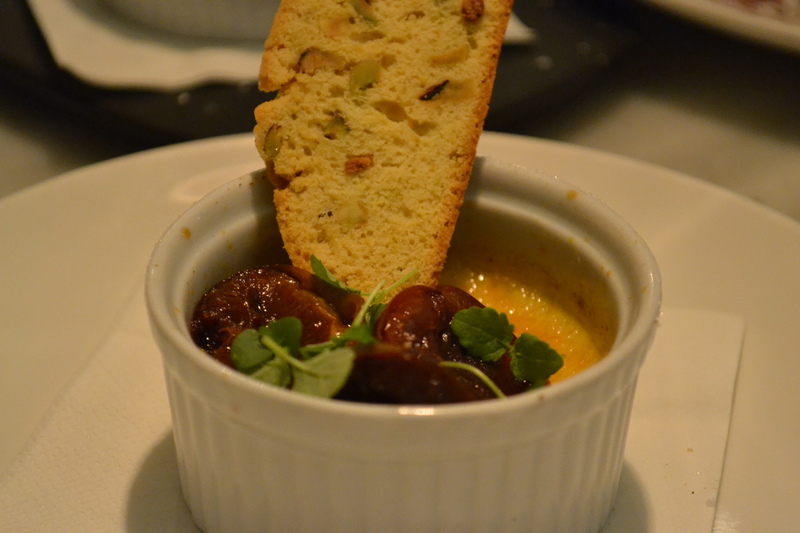 We also had the vanilla lavender crème brûlée, roasted plums (we weren’t overly keen on the roasted plums) twice baked pistachio biscuit, which I had already tried on my last visit with Brent. I’m not a fan of floral flavours so this dessert was a bit of a risk for me but I thought it was great and polished off the lot. 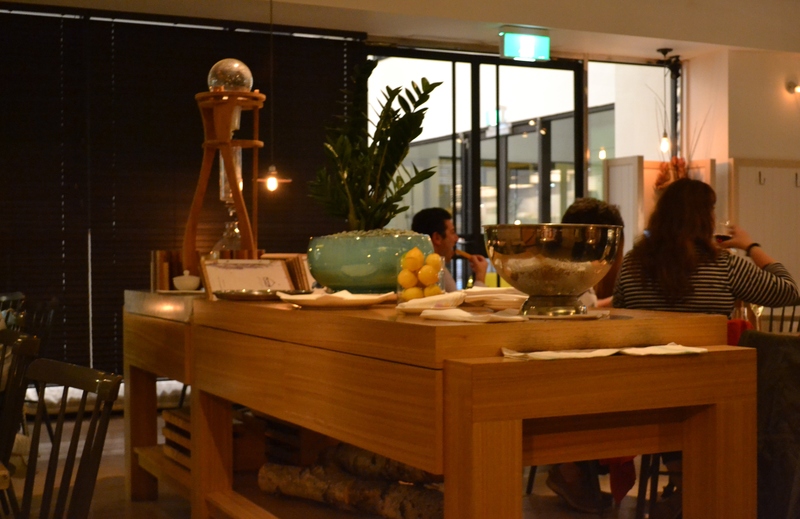 In fact, we all enjoyed every aspect of our meal and would have loved to return if given the time. Sadly, it was the last evening The Grain Store was open for dinner as they’ve recently decided to concentrate on breakfast, lunch and weekend brunch. Sob sob! After an impressive meal, Mum and Dad suggested we go for breakfast there the very next day. They couldn’t get rid of us! The breakfast however was let down but one member of staff who wasn’t friendly at all and a bit aloof and the service not great either. Shame, as the other man who was front of house the previous evening (I can’t quite remember his name) was ever so nice and was great recommending wine to accompany our choice of dishes. 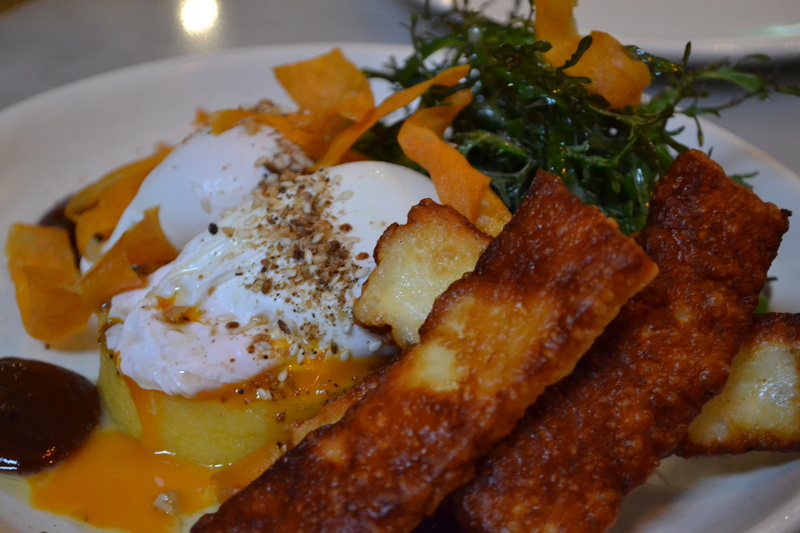 Despite the slightly off service, our breakfast at The Grain Store was an enjoyable one, scoring highly in my round-up of Best Melbourne Brunch. 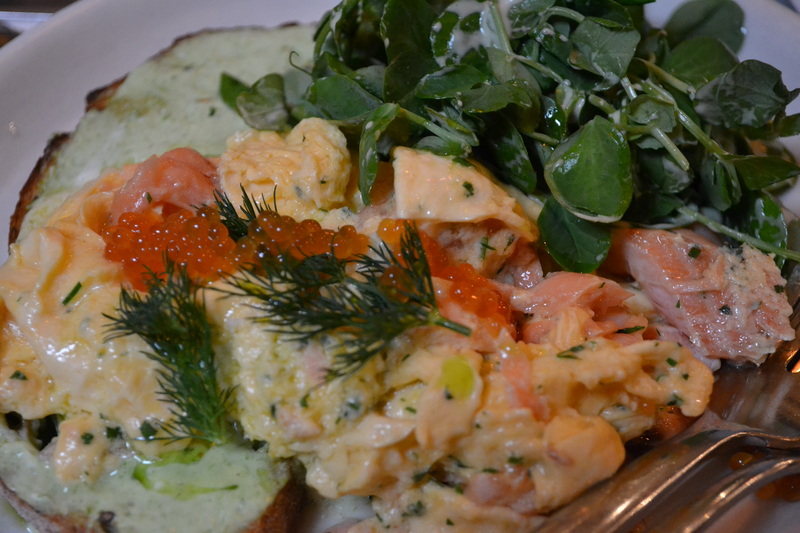 We particularly enjoyed the polenta corn fritter, avocado & smashed greens, poached eggs, tomato chilli jam salsa, sweet potato crisps and the house smoked salmon and scrambled eggs amongst other things which we forgot to write down – doh! I’m in love with the inventive style of menu with dishes made up of so many different ingredients (seen in the description of each dish) giving an array of textures and flavours. There’s not a single dish on the menu that I don’t want to try which made it very hard when choosing what to eat. 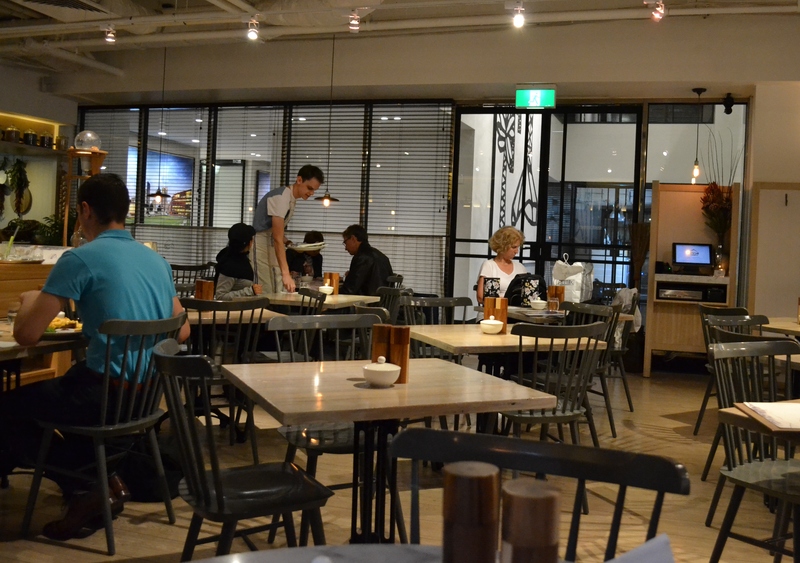 Luckily I’ll be returning to Melbourne soon so I can eat at The Grain Store everyday…if only my wallet allowed. Huff. Lots of cookies and cakes, we had to take one or two with of us of course. The thing I love most about The Grain Store is that on all three of my visits I felt like I was eating in the comfort of my own home but with far better food than I could even attempt to cook myself (and if you’ve read my recent recipe post, you’ll see that I’ve become quite a whizz in the kitchen 😉 ). Maybe it’s the intimacy of the place, the dim lighting or the eclectic mix which all match perfectly to create a warm relaxed atmosphere. Whatever it is, I can’t wait to return to The Grain Store and I’ll be heading there as soon as my plane hits the ground. Impressive stuff not to be missed. Returnability – yes, three visits!